The significance of the Dark Souls series cannot be overstated. In a sea of generic AAA titles that hold the player’s hand all the way through the game, offering unlimited quicksaves and no real penalty for dying, Dark Souls dared to stand out. Instead of handing everything to the player on a silver platter and bombarding them with tutorial prompts, it let the player figure the game out through trial and error. Button-mashing was out of the question and attentiveness was mandatory, the story was cryptic and required actual effort to unravel. 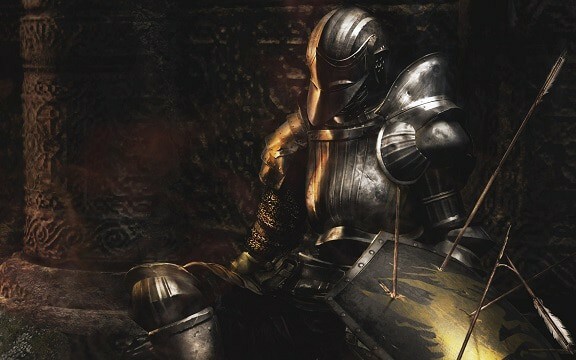 Dying carried the possibility of losing all your unspent XP but it was an inevitable part of the long, epic, and unforgettable journey that was Dark Souls. Now, Dark Souls has produced two sequels and a slew of other games that attempted to replicate it with varying degrees of success, thus spawning the somewhat dubious “Souls-like” subgenre. In this article, we will be going over some of the best games that are described as Souls-like. What Is a Souls-like Game? Arguably, the “Souls-like” moniker has been used, re-used, and overused, so much so that it can be difficult to define it, seeing as different people have different opinions regarding what it should describe. 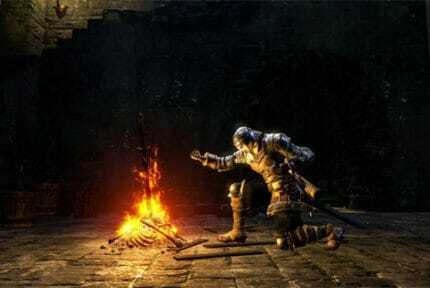 Some feel that only the games that offer the kind of gameplay similar to what we’ve seen in Dark Souls should be described as Souls-like, whereas others take a more liberal approach to defining this “subgenre”, attributing it to games which are, perhaps, only thematically linked to Dark Souls. 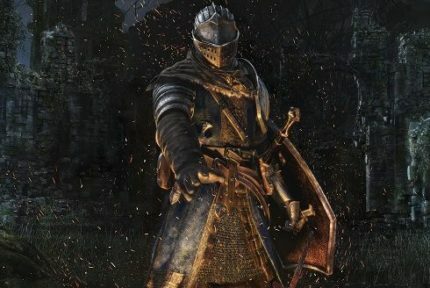 As anyone who has played through Dark Souls knows, there is much more to the game than the sheer difficulty that it is best known for in the mainstream. As such, there are many ways in which a game can be similar to Dark Souls and, hence, “Souls-like”: the gameplay mechanics, the plot, the storytelling techniques, the atmosphere, or just the art direction. 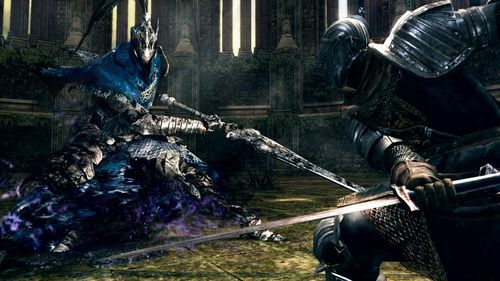 That said, this article includes games that may be similar to Dark Souls from a gameplay perspective but which have little in common with it when the narrative or the atmosphere are concerned, as well as games that play completely differently from Dark Souls but which use similar storytelling techniques and delve into similar themes. With that out of the way, let us begin! The first entry is technically the very first “Souls-like” game, as it is the first “Souls” game developed by FromSoftware – Demon’s Souls. This PlayStation 3 exclusive was released in 2009 and it laid the foundation for the revolutionary game that would be released two years later. But why isn’t Demon’s Souls as popular as Dark Souls? Well, for one, it was a fairly obscure, niche action RPG. It was not marketed as much as Dark Souls was, and on top of that, it was very difficult (especially for the time) and confined to the PlayStation 3. Even today, the game can be played either on a PS3 or with the help of an emulator, though there is a chance that it might be remastered in the near future. When it comes to the gameplay and the storytelling, Demon’s Souls is, unsurprisingly, as close as you can get to Dark Souls outside of Dark Souls. 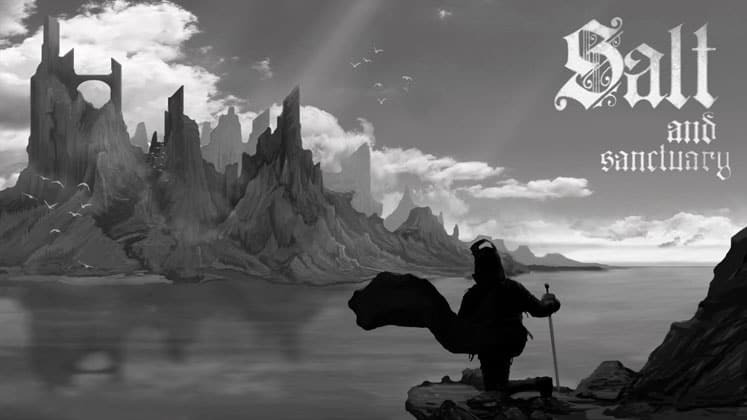 It features the same slow-paced combat and the same type of medieval dark fantasy world. On the downside, this was the precursor to Dark Souls, and it shows both in how clunky the combat can get and in just how uninspired some boss fights seem in retrospect. Overall, it is a good game, but it hasn’t aged all that well, especially in comparison to Dark Souls and all the other Souls-like games that have been released over the past decade. Next up is FromSoftware’s 2015 masterpiece, Bloodborne. Much like Demon’s Souls, it was a PlayStation exclusive, only this time it was made for the PlayStation 4. What makes Bloodborne so remarkable is that it is the first instance of FromSoftware tweaking the existing Souls formula by introducing a number of changes to the mechanics. 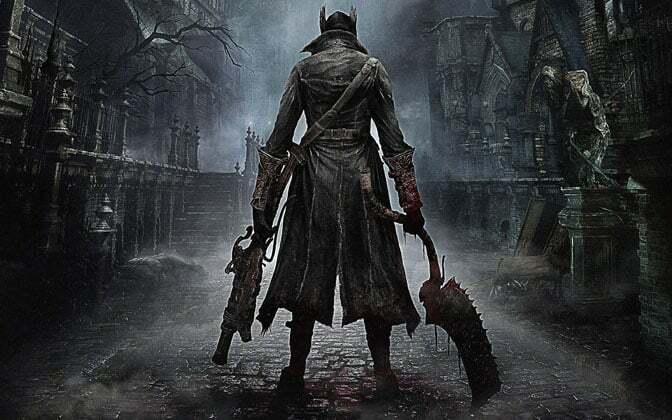 Unlike Demon’s Souls and Dark Souls, Bloodborne moves to a very different setting resembling Victorian era Britain, where it masterfully blends gothic and Lovecraftian horror, delivering the story in the familiar cryptic fashion. But the more important changes were made in the gameplay department. Namely, Bloodborne gets rid of shields and replaces them with firearms, it ditches heavy armor, introduce interesting new “trick weapons”, and encourages the player to play aggressively. The end result is high risk/high reward combat that is much faster-paced and more exhilarating than any of the previous Souls games. Of course, Bloodborne isn’t without fault, and the endgame can get quite grindy, though the bulk of the game makes for a truly unique experience, both from a gameplay and from a storytelling perspective. After all, few games and films can pull Lovecraftian horror off properly, and Bloodborne is one of the few pieces of art that managed to do it right. 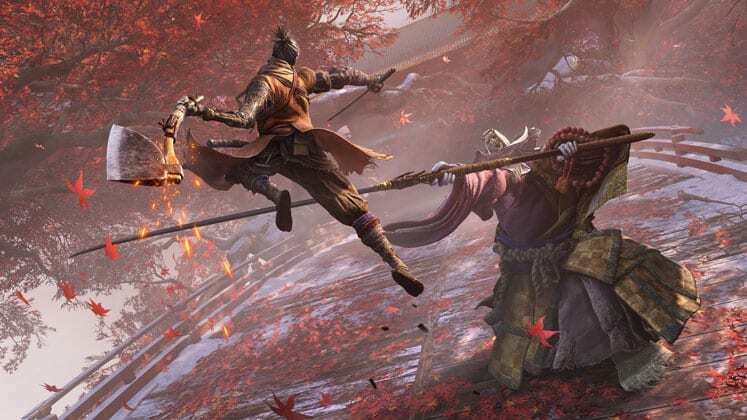 And of course, how could we not mention Sekiro, FromSoftware’s latest entry in their string of outstanding Souls-like games. Now, some people don’t see Sekiro as a Souls-like game, claiming that it strays too far from the original Souls formula. And true enough, Sekiro definitely isn’t an action RPG but an action game with some RPG elements and a series of notable tweaks that set it in a category of its own compared to its predecessors. Namely, it drops the stamina bar that was the staple of the Souls-like subgenre and replaces it with the posture bar, it places a greater accent on parrying i.e. “deflecting” attacks, making it preferable to dodging in most cases. On top of that, Sekiro also introduces some rudimentary stealth mechanics and the player is definitely encouraged to take advantage of them. Ultimately, the pacing of the fights is similar to Bloodborne, though there is less playstyle variety. Furthermore, as can be seen from any promotional material, Sekiro departs the grim worlds of the previous Souls game in favor or a more colorful fictionalized version of medieval Japan. The storytelling, too, is much more straightforward than that of the other games, which some will appreciate while others will note. In any case, Sekiro is definitely one of the best FromSoftware games in recent memory (aren’t they all? ), with its superb, fluid combat, the many memorable boss fights, and the masterful art direction. Check out the full review here. 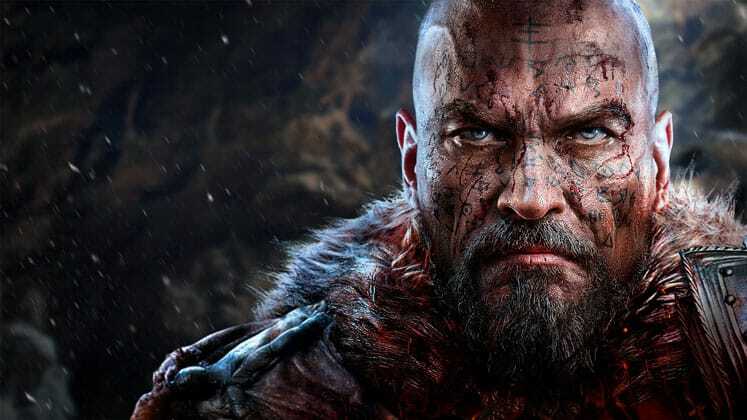 Lords of the Fallen came out in 2014, and it is arguably among the weaker entries in the Souls-like subgenre. It was a joint effort between the Polish developer CI Games and the German developer Deck13, neither of whom had any standout titles under their belt prior to the release of Lords of the Fallen. Overall, the game is heavily inspired by the original Dark Souls, both in regard to the gameplay and the aesthetics. The combat is slow and tanky, so much so that it can feel downright sluggish at some points, while the setting can best be described as a mix of Dark Souls and Warhammer, replete with grim gothic architecture, bulky weapons, and bulkier armor. In some ways, Lords of the Fallen, sadly, feels like a poor man’s Dark Souls, but it’s far from a bad game. It’s not as focused on sheer difficulty and it plays more like a traditional action RPG, so if you like this kind of aesthetic and if the relatively slow-paced combat doesn’t put you off, then you may want to give Lords of the Fallen a go. 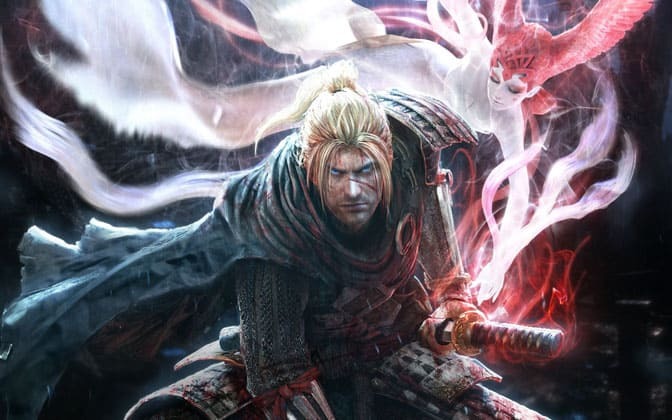 Next, we have Nioh, a game that was initially released for the PlayStation 4 in early 2017, but was also released for the PC later that same year. It was developed by Team Ninja, a reputable studio behind recognizable action games such as Dead or Alive and Ninja Gaiden. Much like FromSoftware’s own Sekiro which would be released two years later, Nioh takes place in a fictionalized version of medieval Japan. Unlike Sekiro, it is an actual RPG, though with very limited character customization and quite a few JRPG tropes. Ultimately, Nioh is a game most praised for its fast-paced combat and a wide selection of flexible weapons and multiple fighting styles, though when it comes to the storytelling and the level design, it falls as flat as a pancake. That said, its main selling point is the combat, but don’t expect any stunning vistas, intricate level design, or a captivating story, as you will find none of that with Nioh. Released soon after Nioh in 2017, The Surge was Deck13’s spiritual successor to Lords of the Fallen, and it is plagued by some of the same issues that afflicted its predecessor, though it fixes many others. What makes The Surge stand out from the get-go is its sci-fi/cyberpunk setting. However, once you start playing, you’ll see that the combat is decidedly Souls-like. 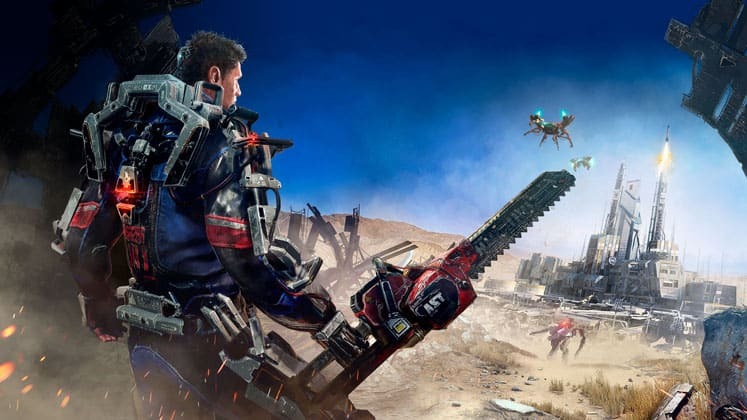 The Surge still focuses primarily on dodging and melee weapons, the newest addition to the formula being the ability to attack specific parts of an enemy’s body in order to cause more damage or cut off a piece of gear that you needed. But much like Lords of the Fallen, The Surge was met with mediocre reviews. It lacks the staying power of FromSoftware games and the combat can feel quite clunky at times, all the while the environments and the bosses are not very memorable. Still, if you liked Nioh and/or Lords of the Fallen, chances are you’ll like The Surge as well. Now, Demon’s Souls may be the closest that you can get to Dark Souls outside of Dark Souls, but Salt and Sanctuary is definitely as close as you can get to Dark Souls in the 2D world. Developed by the lesser-known Ska Studios and released in 2016, Salt and Sanctuary manages to capture the essence of Dark Souls quite well. The game throws the player into the same kind of bleak dark fantasy setting that Dark Souls is known for, the combat mechanics are translated beautifully into the 2D model, the lore is delivered in the same vague and cryptic manner, all the while the aesthetic, characterized by hand-drawn sprites and blurry backgrounds, makes the game stand out as one of the more memorable Souls-like games. The debut title of the Australia-based Team Cherry, Hollow Knight was originally released for Windows in 2017 and was subsequently ported to all the mainstream consoles and Mac. Much like Salt and Sanctuary, it is a 2D game with a beautiful hand-drawn world, and though it is closer to a Metroidvania than a Souls-like game, we feel that it should definitely be included on this list. 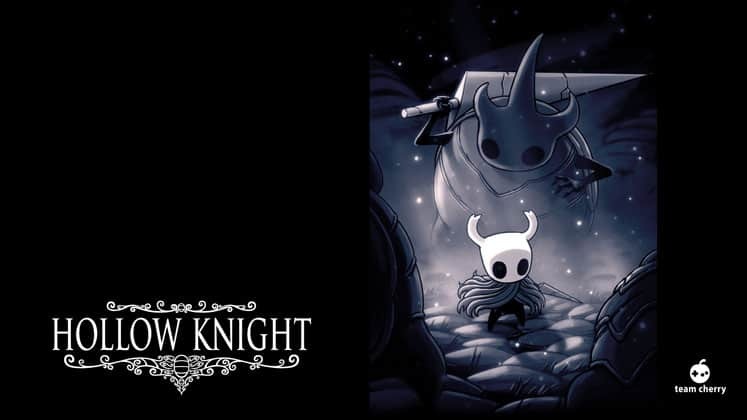 For one, the game is very challenging, and while it lacks some standout elements of Dark Souls such as the stamina bar, it keeps others: limited health, slow healing, dangerous enemies, the penalty for dying – all of these things make Hollow Knight feel like a Souls-like experience. More importantly, the cryptic way that the story is delivered, as well as the melancholic beauty of the dilapidated underground kingdom of Hallownest, both cement its status as a Souls-like title in our eyes. 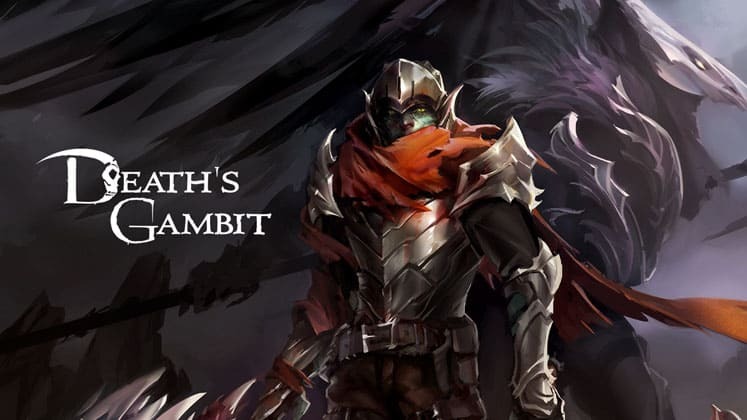 Similar to Salt and Sanctuary, Death’s Gambit is a 2D take on the Souls formula, though White Rabbit’s 2018 debut title does differ in some respects. The Souls-like fundamentals are all there, but like most 2D games on this list, Death’s Gambit ultimately plays more like a Metroidvania than a Souls game. But gameplay aside, Death’s Gambit has pretty much all the staples of a Souls-like game: a dark fantasy setting, a complex plot, challenging encounters, and of course – a stamina bar. Sadly, the reception was largely mixed, partly due to the technical problems and the fact that the game feels a bit rough around the edges and because it does not pull off the concept of “2D Souls” as well as some other games in this subgenre do. 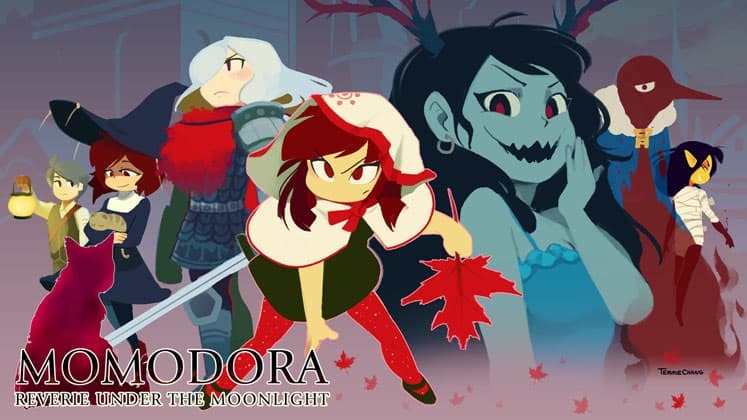 Similar to Hollow Knight, Momodora: Reverie Under The Moonlight plays more like a typical 2D Metroidvania than a Dark Souls game. But just the same, its storytelling, its mesmerizing graphics and the captivating atmosphere definitely give it that vibe which we’d usually associate with a Souls-like game. Granted, Momodora is not as difficult as Hollow Knight and it’s generally a bit more light-hearted, though it is also lamentably short. In any case, despite it playing quite a bit differently from your usual 2D Souls-like game such as Salt and Sanctuary or Death’s Gambit, if you’re the kind of person who feels that there are other, more important factors than a stamina bar that make a game “Souls-like”, you’re bound to appreciate this one. Next up, we have a game that actually has “souls” in its title, and it’s Titan Souls, developed by Acid Nerve, a two-man team from the UK. Now, much like the previous few titles, this 2015 release is a 2D game, it boasts a beautiful pixel art graphics style, though it is played from an overhead perspective. When it comes to the gameplay, Titan Souls feels quite unique. The key aspect of Dark Souls which it preserves is – you guessed it – the difficulty. You are armed with nothing but a single arrow that you have to retrieve every time you fire it, and each boss can kill you in one hit. The whole game is essentially a string of unique boss fights that have to be figured out like big, deadly puzzles. 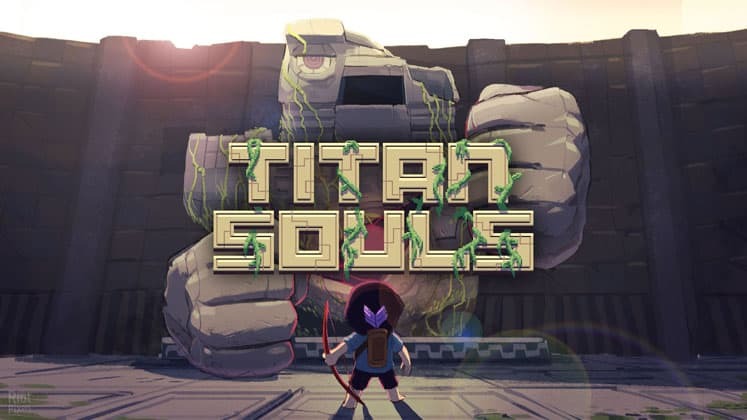 That said, if you like pixely games and if overcoming difficult bosses was your favorite part of Dark Souls, then you will definitely love Titan Souls. Sadly, the game doesn’t offer much other than that, as there really is no point in exploring the world other than for the sake of experiencing the atmosphere. So, if boss fights aren’t your thing, you’ll probably want to pass on this one. Hyper Light Drifter came out in 2016, and it was the first game made by the California-based developer Heart Machine. It is yet another 2D Souls-like game that features an overhead perspective which feels more like roguelike than a Souls-like game. One thing is for certain though: it channels that SNES era nostalgia perfectly! Overall, Hyper Light Drifter looks beautiful, uses unconventional storytelling, is filled with very memorable environments, and the graphics style definitely helps it stand out. Meanwhile, the combat is a solid fusion of roguelike and Souls-like, founded on a balance between melee and ranged weapons that the player will need to use if they wish to master the game’s many challenges. 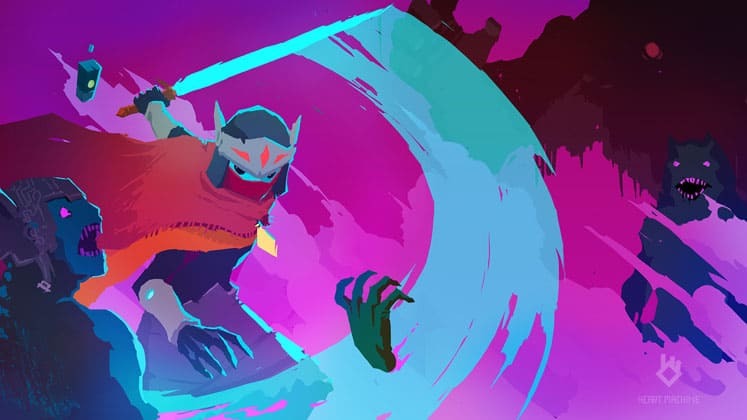 At the end of the day, Hyper Light Drifter is one of those games that don’t have much in common with Dark Souls from a gameplay perspective (apart from the difficulty, of course), but with its beautiful design and the narrative which is rooted in themes similar to those explored in Dark Souls, we feel that this game deserves a spot on this list. Following Hyper Light Drifter, we have yet another fusion of genres that is Dead Cells. This 2017 release, developed and published by the French indie studio Motion Twin, has a number of things in common with the aforementioned game, which is evident from the graphics style alone. On the gameplay front, Dead Cells is an effective mix of Metroidvania and some roguelike elements such as procedurally-generated levels. Meanwhile, the chief similarities to Dark Souls lie in the difficulty and the underlying themes of death and decay, as well as the doomy and gloomy atmosphere. 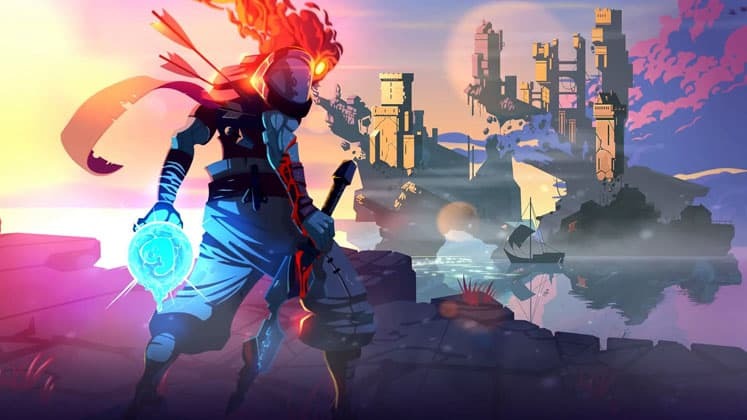 In any case, the same old holds true for Dead Cells: if you are a fan of Metroidvanias, then it is a definite must play, since it is one of the best games in the genre. 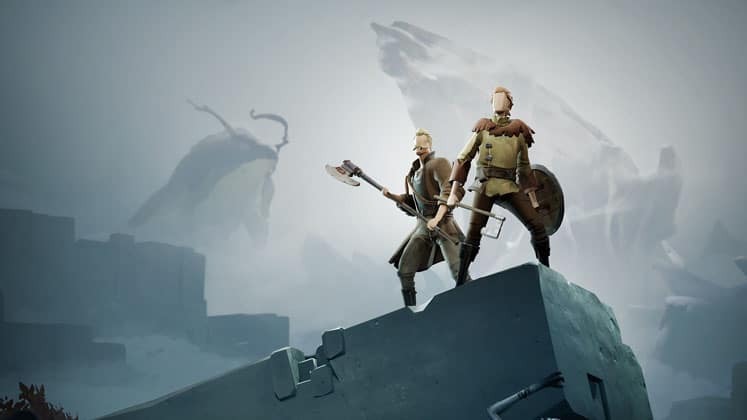 Released in December of 2018, Ashen was developed by a New Zealand-based studio called A44. It is one of those Souls-like games that seemingly follow the original Dark Souls formula almost to the letter, although Ashen does include a new accent on co-op play (online and offline) and an unusual minimalistic graphics style. If you don’t get put off by the graphics or the game’s co-op mechanics, then you are bound to enjoy Ashen, as it is one of the few Souls-like games that feels as if it truly captures the essence and atmosphere of Dark Souls, albeit it does lack that sense of melancholy beauty and grandeur. And that would be it for now! We’ll keep this list updated with new games as they come out, and if there are some Souls-like games out there that we haven’t included but you feel deserves to be mentioned, let us know in the comments and we’ll see about adding it to the list. Dark Souls Remastered - Is It Worth It?